I haven’t blogged my meal plans for a couple of weeks, but I realised today that I’m starting my 5th week of the 5:2 eating plan (eat normally for 5 days, then eat a very restricted number of calories for the other 2 days of the week). Given that I’m still getting loads of feedback on my first post on the subject I thought it was time for an update. So, after 4 weeks I have lost a total of 6lb. Not stellar, but still not too shabby at all. And this is whilst eating perfectly normally (including cakes, chocolate etc) for five days of the week. Given that I am primarily following this eating pattern for the health benefits, any weight loss is a bonus. I have learned some things from other readers of this blog. My initial understanding that on fast days, my 4-500 calorie allowance had to be taken as one meal was not quite right – indeed I have seen several suggested approaches where the calorie allowance is split between two or even three meals. At the moment I’m still sticking to a single meal per day on fast days, but the geekdaddy has struggled more with that approach and he is experimenting with ways of splitting his calories across multiple meals. In some ways last week was our most difficult week on the eating plan so far, mostly because due to the way our week unfolded (which involved the geekdaughter starting school, the funeral of a close family friend and a work crisis that saw me having to juggle my non-working days around to provide cover) we ended up taking one of our fasting days on a different day to each other. The geekdaddy was out for most of my fasting day which was not a problem, but the next day I was at home, eating normally (and even baking banana bread with the geekdaughter after school) whilst he was fasting, which he found quite difficult. It’s definitely a big help for both of us to be doing this together, and we’ll definitely try to keep our fast days the same whenever possible. I originally said I’d try this way of eating for a month. At the end of this week I’ll have achieved that, and it has on the whole been easier than I thought it would be. At the moment I see no reason to stop, and my plan is to continue the 5:2 eating plan for the foreseeable future. Sunday: Bacon and courgette pasta supper (menus4mums – will substitute something else for the courgette as our kids aren’t keen). I’ll be linking this post up with the other Meal Planning Monday posts over on the At Home with Mrs M blog – why not head over there and see what other people are eating this week? 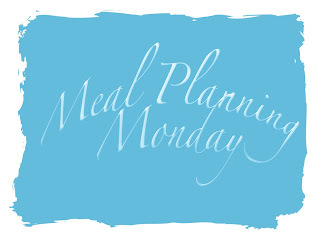 Meal Planning Monday 01/10/2012 – OMG it’s October! The video is available on YouTube.com. Search for Eat, Fast and Live Longer.